The National Youth Dance Company is an exciting new company, as part of Sadler’s Wells, that aims to create and perform innovative and influential youth dance. It has announced that it will be working with Sadler’s Wells Associate Artist and acclaimed choreographer Akram Khan as next guest Artistic Director. Following the company’s work with similarly celebrated choreographer Jasmin Vardimon, 30 new members will joining the current company to present a new work specifically created for NYDC; the piece will receive its world premiere on 16 April 2014 at Sadler’s Wells. The new work will be performed as part of a double bill that will feature a reworked excerpt of Khan’s Vertical Road. The newly recruited members were selected from sixteen workshops held in 9 different regions across the country, resulting in 20 male and 10 female dancers aged 15 – 19 gaining the privilege to work with award-winning dancer and choreographer Khan. Khan thoroughly enjoys working with young people with passion and ambition. He believes, and rightly so, that the positive role of the arts in our society is fundamental in providing young people with the skills they need to succeed in any walk of life. NYDC is a fantastic opportunity to nurture the next generation of artists and inspire a host of young people to get involved with dance. Since its inception in 2012 NYDC has seen over 500 young dancers attend 27 workshops across England. Over June and July 2013 NYDC took part in nine performances seen by over 5,000 people in a range of venues, from large scale theatres to site specific outdoor stages, in locations stretching from London to Leeds, Bristol to Kent. Having set a very high standard with their sold out debut performance of Jasmin Vardimon’s (in between), the young dancers of NYDC have shown that they can hold their own alongside established companies on the main stage at Sadler’s Wells. Khan is one of the most celebrated and respected dance artists today. In just over a decade he has created a body of work that has contributed significantly to the cultural arts in the UK and abroad and his reputation has gained from his imaginative, highly accessible and relevant productions such as DESH, Vertical Road, Gnosis and zero degrees. 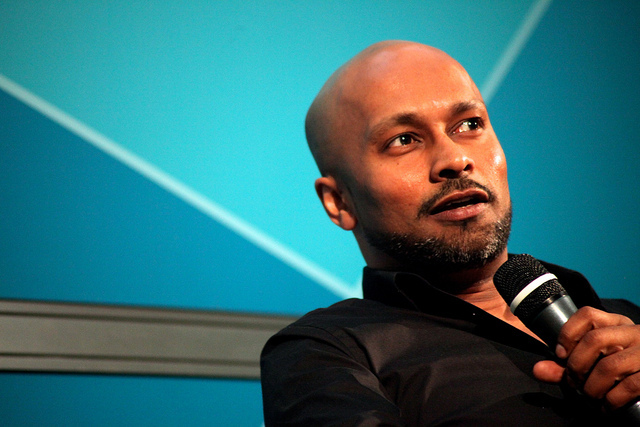 Young People in the Arts has announced that the next speaker in its YPIA lecture series in association with the Southbank Centre is dancer-choreographer Akram Khan. Founded in 2008, YPIA is a social network for arts professionals at the outset of their careers, running a monthly programme of talks, debates and professional development opportunities, including the chance to network with others who work in the arts. As one of the most celebrated and respected dance artists, Khan has created work that has significantly contributed to the arts sector in just over a decade. As a dancer with his roots based firmly in the South-East Asian style of Kathak, Khan’s most recent success was at the opening ceremony of the London 2012 Olympic Games. Khan’s reputation has been built on years of success and dedication, delivering highly accessible productions such as DESH, Vertical Road and zero degrees to audiences all over the world, of many other cultures and artistic disciplines. Previous collaborators of Khan’s include the National Ballet of China, actress Juliette Binoche, ballerina Sylvie Guillem, choreographer/dancer Sidi Larbi Cherkaoui, singer Kylie Minogue, visual artists Anish Kapoor, Antony Gormley and Tim Yip, writer Hanif Kureishi and composer Steve Reich. His work in zero degrees even forms part of the UK dance curriculum today, with the duet becoming an awe-inspiring and extremely moving piece of work. Khan has been the recipient of numerous awards throughout his career including the Laurence Olivier Award, the prestigious ISPA (International Society for the Performing Arts) Distinguished Artist Award, the South Bank Sky Arts Award and the Critics’ Circle National Dance Award. Khan was awarded an MBE for services to dance in 2005 and is also an Honorary Graduate of Roehampton and De Montfort Universities, and an Honorary Fellow of Trinity Laban. Having returned to full form for the London 2012 Olympic Games Opening Ceremony, Akram Khan has recovered from the notorious injury to his Achilles tendon and is set to perform DESH at the UK’s leading dance house in October 2012. The performance was originally postponed due to Khan’s injury but the UK premiere of the production is going full steam ahead to the delight of many dance fans decked out in their leggings and leotards. Sadler’s Wells, renowned for presenting dance in all its forms to the widest possible audiences, will also be including in its October highlights three critically acclaimed works returning to the theatre. As an Associate Artist of Sadler’s Wells, Khan’s latest work, linen trousers and all, made its world premiere in 2011 to unanimous critical praise. The Olivier Award-winning DESH is a full length bare-footed contemporary solo, and Khan’s most personal work to date. Meaning “homeland” in Bengali, DESH draws on multiple tales of land, nation and resistance, all converging in the body and voice of one man trying to find his balance in an unstable world. Moving between Britain and Bangladesh, Khan weaves threads of memory, experience and myth into a surreal world of surprising connection. For DESH, Khan joined forces with visual artist Tim Yip (production designer for Crouching Tiger, Hidden Dragon), award-winning lighting designer Michael Hulls, writer and poet Karthika Nair, Olivier Award-winning composer Jocelyn Pook and slam poet PolarBear to create a powerful work which has since defined his career. A collaboration of extraordinary proportions.